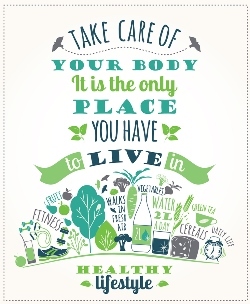 Herbs are beneficial not only for making your food taste good but also for medicinal purposes. Dried ones sold at the store are good for food but to get the best taste possible, fresh is better. Avoid paying the high costs of buying fresh – start your own herb garden. Herbs are healthy. Many people use herbs as an alternative medicine source, especially in light of the high cost of prescription medications. Herbal remedies are thought of as alternative medicine today but just about all medicines can be traced back to plants, seeds, spices, flowers, herbs and roots. Purchasing common and unique herbs can cost you quite a bit. Besides the cost, already cut herbs, even fresh, will only keep for about seven days. Unless you plan on using all you buy right away, there will be some waste. Avoid the waste and the cost by growing your own herb garden. This can be done outside in a planting box or indoors. An indoor herb garden can be cultivated all year round. Inside the home, your plants are at less risk for pests, worms and damage due to weather. Whether you are trying to expand your culinary palette or create a more natural medicine cabinet, here are some tips for starting your own indoor herb garden. Many plants grow well indoors. As long as you have ample sunlight on at least one side of your home and a tiny bit of space, it can be done – even if you don’t have a green thumb. Choose your herbs – Decide what herbs you want to grow. Some are best placed in their own pots to avoid mixing the smells or tastes. For instance, chives have an onion flavor and might be too strong to grow next to mint. Choose your pots – Use containers that are large enough to accommodate roots of growing plants with holes in the bottom and a pan at the bottom for drainage. 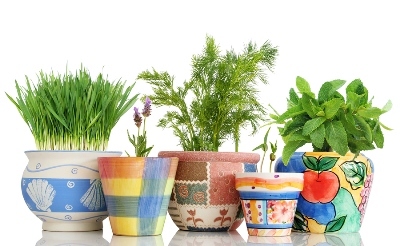 Add the soil – Most herbs come in small containers so you will need to repot them. Fill the new pot about three-fourths full with a potting mix that contains fertilizer. Add the herb plant – Carefully remove your plant from the original container, gently shaking off excess dirt from the root ball. Cover the root ball with more soil. Water your herb – Add water until the soil is damp but not too wet. Plant herbs with similar water requirements together in the same pot if you like. Add light – Place plants in a window that gets a lot of sunlight, at least eight hours. Place shorter plants in front so all get enough sun.